Keep frozen and store flat., Do not defrost., Keep at -18°C or cooler., See Side of Pack for Best Before End. Cooking Instructions (General): These are cooking guidelines only. For best results, oven cook. Keep pizza frozen until ready to cook. Caution: filling will be extremely hot! 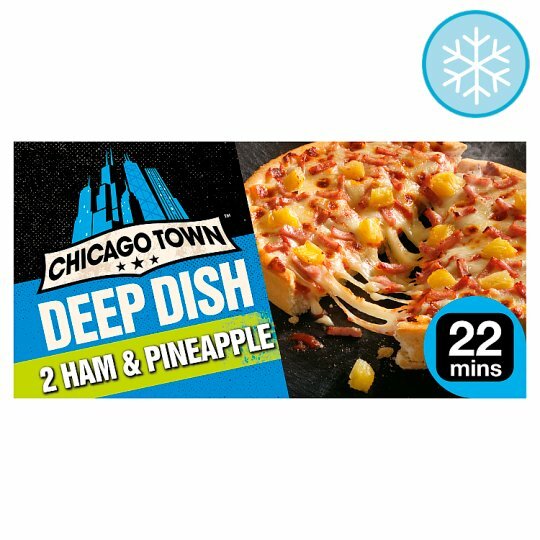 Microwave (From Frozen): Remove all packaging and place pizza in the microwave on a microwave-safe dinner plate. Note: Please do not attempt to microwave more than one pizza at a time. Due to microwave oven variances, heating times may require adjustment.